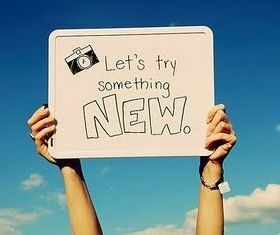 Today is another day to do new things. Never dwell on one thing over and over. We don't look backwards for very long. 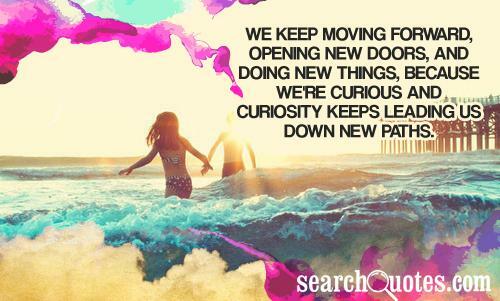 We keep moving forward, opening up new doors and doing new things because we're curious... and curiosity keep leading us down new paths. I move forward and try hold on to the better memories, its the narrow road but chances are, bumping into new people will be inevitable. We keep on moving forward, opening new doors and doing new things because we are curious and curiosity keeps leading us down new paths.